The union that represents the more than 200 workers who lost their jobs when the newsprint mill was shuttered in Newberg in 2016 gained an ally last week in their attempts to hold the Georgia company that owns the mill responsible for what they characterize as shady, and possibly illegal, business practices. 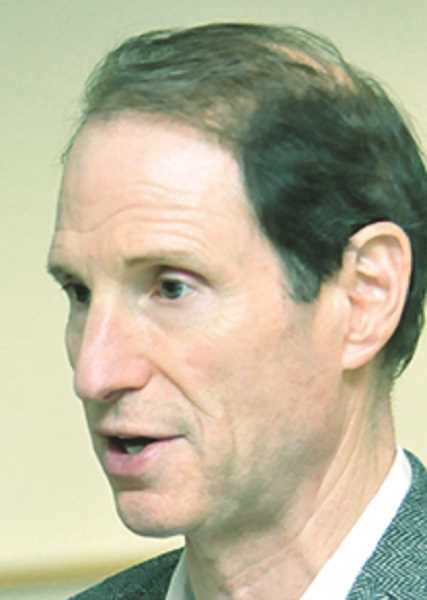 Sen. Ron Wyden penned a letter to the antitrust division of the U.S. Department of Justice (DOJ) and the Federal Trade Commission (FTC) in late July echoing what Association of Western Pulp and Paper Workers officials have said all along, that WestRock Co. may be violating antitrust laws and unfair labor practices in an attempt to rig the market in its favor. Wyden called on the DOJ and the FTC to increase oversight of mergers and acquisitions in the paper industry, and in particular to investigate "reports that WestRock Co. … included as a condition of sale of the paper mill a requirement that the mill equipment be destroyed by any purchaser," characterizing such a requirement as "highly uncompetitive." Attempts over the past several months to contact WestRock officials for comment have gone unreturned. It was revealed in the spring that a now-defunct contract between WestRock and an Idaho scrap metal dealer, penned in January, did indeed require the company to destroy the plant's two papermaking machines before the metal was hauled off for recycling. The contract also specifically forbade the scrapper from selling the machines whole to what could be one of WestRock's competitors. "When a buyer was announced in January of 2018, it became clear they were chosen because they were willing to comply with the condition that the buyers destroy the existing equipment despite evolving (market) conditions," Wyden wrote. Wyden continued that such a proviso is also troubling given that the country is dealing with millions of tons of recyclable material formerly shipped overseas, primarily to China. "It is also particularly troubling that WestRock may have included this provision at a time when key markets for U.S. recyclables have closed, leaving the United States with a glut of recyclable paper, plastic and post-consumer products in need of processing, and when U.S. consumers of paper are facing escalating prices, two problems that could be mitigated if the Newberg mill were to reopen. Yet, also two conditions that lead to higher prices (from) which WestRock would profit." Prior to WestRock's purchase of the Newberg mill on Wynooski Street, previous owners boasted that more than 75 percent of the fiber used to fabricate newsprint came from recycled materials, primarily old newsprint. That old newsprint, as well as all manner of other paper products, now finds its way into local landfills because there is no outlet for it domestically and China has stopped accepting it from the United States. In addition, wood products formerly delivered to the mill to be converted into hog fuel to power the mill's electrical plant, are also being turned away and shipped to landfills. 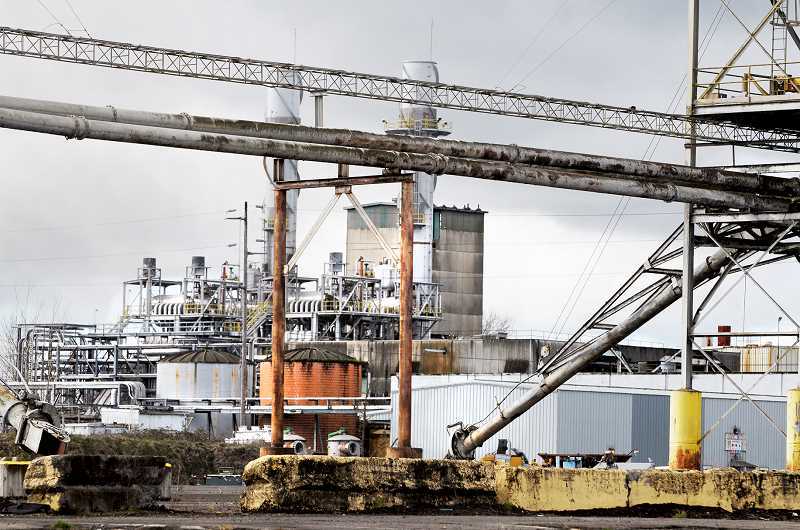 "Eliminating existing capacity for processing paper would have severe negative consequences for Oregon's recyclers and consumers," Wyden wrote. "By limiting the number of domestic buyers of recyclable materials, WestRock may be effectively controlling prices that curbside and sorting facilities receive for their services, and at the same time increasing the cost of paper for consumers. Given market conditions, WestRock may be using the sale to pinch these struggling industries to increase their bottom line." Wyden is the ranking member of the Senate Finance Committee, which includes a number of subcommittees with oversight of commerce, international trade, global competitiveness and natural resources. His letter comes as WestRock continues to try to sell off the mill. Companies from India and China have reportedly approached the company about buying and restarting the mill to feed the growing need for paper products in their countries, only to be rebuffed by WestRock officials. However, WestRock reportedly reversed course in late spring when officials said they were open to selling off the mill intact, but there has been no movement to indicate that's the case. Wyden's letter comes at a particularly sensitive time for WestRock as the nation's second-largest paper products company is attempting to acquire the No. 5 company, Kapstone Paper and Packaging Co., which owns a larger mill in Longview, Wash., that is also represented by the AWPPW. WestRock CEO Steve Vorhees told the Longview Daily News in May that a $4.9 billion merger between WestRock and Kapstone was on track "despite extra scrutiny from the U.S. Department of Justice." Vorhees downplayed the DOJ examination, saying it was customary for mergers of this magnitude. Wyden wrote that he expected the DOJ and the FTC to closely scrutinize the merger and the Newberg mill's future: "I urge you to closely monitor the sale of this mill to ensure that it proceeds without uncompetitive provisions designed to undermine the functioning of West Coast paper markets."